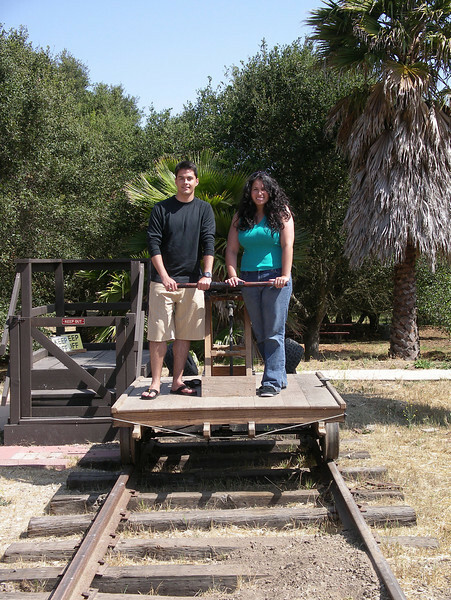 A new handcar-ride passenger-boarding platform was completed in 2006, thanks to a contribution from the Woman’s Service Club of Goleta and donated labor from museum members and friends. The new platform replaced a makeshift portable unit that was used for many years. Participating in the construction were Noel Langle, Vincent Vanhecke, Nicholas Vanhecke, Ed Leska, James “Bo” Birchim and Museum Director Gary Coombs. The new boarding station welcomed its first handcar passengers on Saturday, Sept. 16 and on Depot Day, Sept. 24, 2006.